Due to Skippack’s Spring Festival, OUR PARKING LOT WILL BE CLOSED on Free Comic Book Day, Sat. May 7. There will be parking spots available in the areas marked Lot 2 & Lot 3 on the map below (behind Mal’s American Diner). 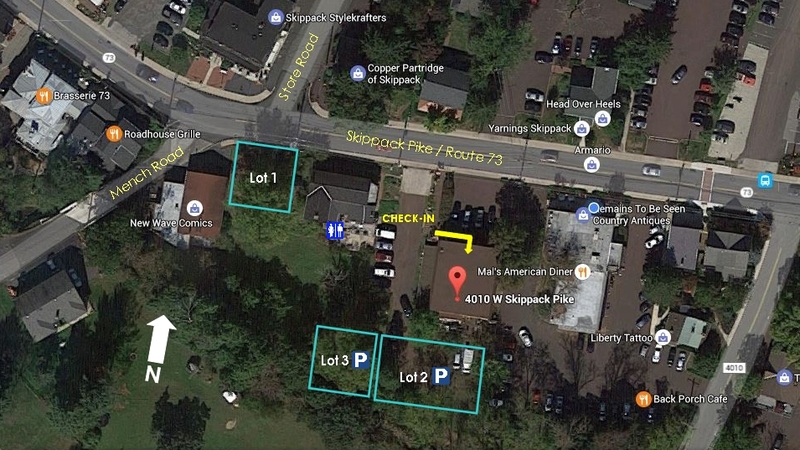 Additionally, parking is available throughout the Village, including behind the Victorian Carriage Shops (at our shop’s original location <3 ), near Justin’s Carriage House Restaurant & Bar, & across the street at Skippack Sweet Spot.